Expert advice from hair care professionals. Extensive nail and waxing services to keep you well groomed. Customized face treatments targeted to keep you looking young and fresh. Customized treatments for your individual needs providing deep tissue to relaxation. 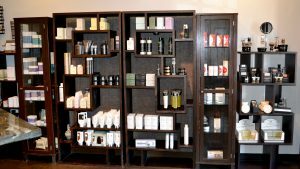 Modern Male Salon and Spa is a luxurious alternative to the traditional barber shop. Our highly skilled hair stylists design the perfect men’s haircut and beard shaping in a professional, yet relaxed, barbershop atmosphere. 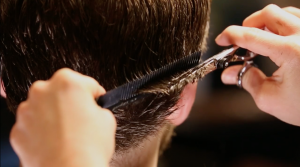 In addition to men’s hair care and shaving, Modern Male also offers wellness services. Relax with the best in massage therapy, skincare and waxing for men, and be pampered in our private manicure and pedicure room with your choice of TV stations. Modern Male has a beer-and-wine license to offer an array of craft and import beverages for your enjoyment before, during or after your service. At Modern Male, you’re welcome to come early or stay late! Can your average barber shop say that? WiFi is also available in our lounge and valet parking after 5 p.m.
NEW TO MODERN MALE? GET $10 OFF YOUR FIRST VISIT. 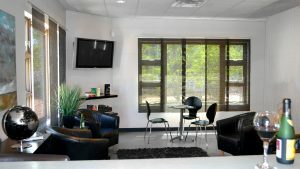 At Modern Male you will receive $10 off your first visit! You can schedule online or present this coupon code in store to receive the discount. 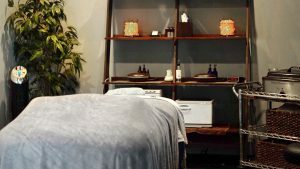 Get the most up to date information, great tips, deals, and the latest news on what is happening at Modern Male Spas. Modern Male Spa is a great place for me to go and relax and rejuvenate. As a former professional athlete, it’s very important for me to make sure my body and mind stays fresh, and Modern Male Spa allows this to be possible. Modern Male is located in Historic Dublin at 24 Darby Street in Bri-Hi Square, on the NW corner of 161 and Dublin Rd. A public parking lot is available on Darby Street.